Walking is simple, free and one of the easiest ways to get more active. It can improve your health, your happiness and is a great way to enjoy the coast and the surrounding countryside. Below you will find information and links for walks in and around Skegness. From short strolls to lengthy hikes, why not give one a try? This circular route is 1.5 miles long and takes approximately 45 minutes. The circular route is 1.75 miles around the reserve. Toilets and refreshments are available at the visitor centre. For further details please view the document below. For more information about Gibraltar Point please click here. The circular route is approximately 5 miles. The Burgh le Marsh to Skegness Linear Walk below is approximately 5 miles. 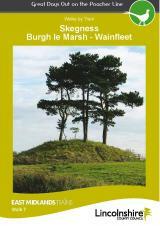 The circular route is 7.5 miles, however there is an option to shorten the route by using the bus either to or from Burgh le Marsh. For further information please view the document below. For the interconnect 6 bus timetable please click here. 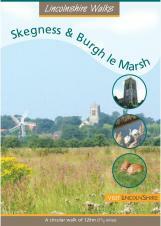 The route is 9.5 miles using field paths and quiet lanes, taking you from Skegness to Wainfleet via Burgh le Marsh. For more information please view the document below. For train times from Wainfleet to Skegness please click here.